Inhale the sweet cookie butter taste and exhale blends of the delicious flavors together. A good flavoring with perfectly blended ingredients for cookies and food. 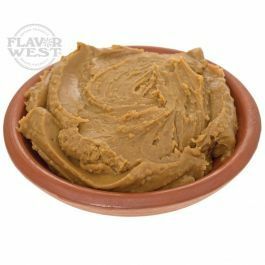 Type: Cookie Butter Water Soluble Flavoring. Ingredients: Natural and Artificial Flavoring, Propylene Glycol. USP Kosher Grade Flavoring. Usage Rate: 15-20% for E-use. Flavor suitability: beverages, desserts, drinks, candies, caramel, baking recipe and more. Specific Gravity: 1.12 No Refunds on Flavoring.